Want to boost sales of your beauty products online? Promote your beauty products online with our appealing and effective beauty products lead capturing standalone landing page designs. 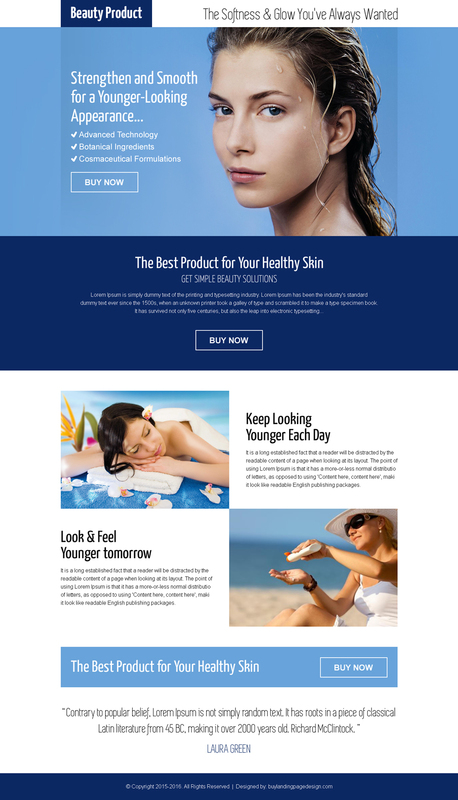 Our beauty product landing page designs are clean and easy to use. Our responsive beauty product landing pages support all devices like smartphone, tablet, laptop as well as Desktop. We have 25+ beauty product landing page designs starting from only $10, among them we have listed down 10 best beauty product landing page designs which have converted very well till now.